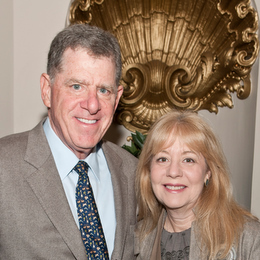 The City College of New York today announced a $10 million gift for its Division of Science from alumnus Martin Cohen, ’70, and his wife, Michele. The gift, the largest ever for the Division, will establish the Martin and Michele Cohen Dean of Science at CCNY, the first endowed deanship in the College’s 165-year history. It also funds endowed professorships and provides funds for faculty and student support. The gift is subject to approval of the CUNY Board of Trustees. Mr. Cohen serves as chair of The City College 21st Century Foundation, the College’s principal fundraising arm. He also serves on the Board of Governors of Hebrew Union College – Jewish Institute of Religion. Mrs. Cohen is a member of the Board of Trustees at Alfred University, New York’s Museum of Arts and Design and the University of Vermont Foundation. By establishing the Martin and Michele Cohen Dean of Science, the gift from the Cohens will enable City College to recruit an eminent scholar in his or her field to provide academic leadership to the Division of Science. A nationwide search to fill the position is underway, noted City College Provost Martin Moskovits. To help City College attract and retain the best research and scholarship talent in science, the gift also establishes the Cohen Professorships and provides for, at a minimum, two endowed professorships in the science division. Matching gifts could provide funds to establish four or more additional endowed professorships. The gift also creates the Cohen Fund for Science to be applied toward start-up costs to establish the endowed deanship and professorships. It includes funds for laboratory renovation and equipment, paid student internships, graduate student research fellowships and education expenses, postdoctoral student stipends and student travel to national conferences. The endowed professorships will help City College recruit exceptional high school students and graduate students, Provost Moskovits noted. Cohen Professors will be required to select highly qualified graduate and undergraduate students to form their research teams and provide paid internships. The Fund for Science will provide opportunities for undergraduates to conduct research with full professors and help the College recruit talented students.